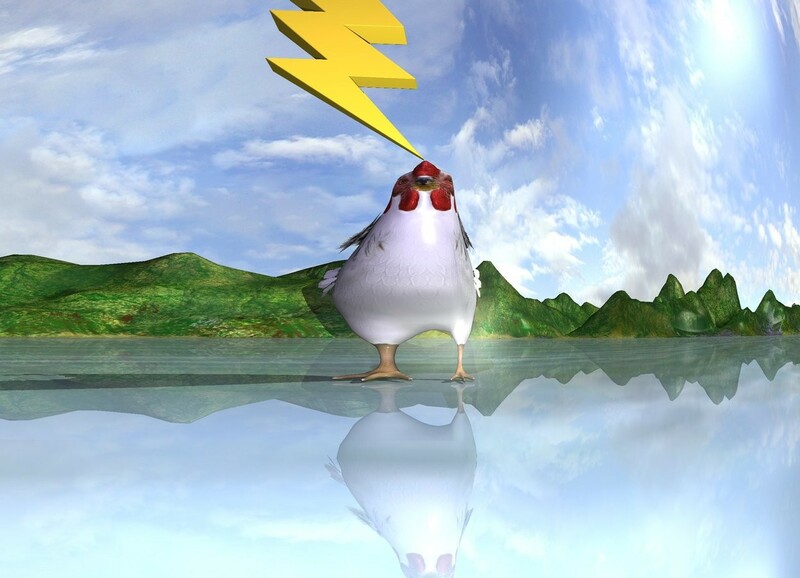 Input text: the lightning is above and -3 inches in front of the chicken. it is -5 inches to the right of the chicken. the silver water can is 2 feet in front of the chicken. the mauve light is 1 foot in front of the lightning.